Ice Cream Parlor Mocha Sodas - 1/2 cup hot water coffee, 8 tsp. finely ground, 2 cups milk 4 scoops chocolate ice cream, 1 quart club soda, sweetened whipped cream or prepared, whipped topping. Place hot water in a medium-sized pitcher. Stir in coffee. finely ground into a powder texture, until dissolved. Stir in milk. Place 1 scoop or ice cream in each of 4 ice cream soda glasses. Pour coffee/milk mixture equally into each glass. Fill glasses almost to brim with club soda. Top with sweetened whipping cream or prepared whipped topping. Serves 4. Iced Cinnamon Coffee - 4 cup Strong coffee, 1 3" stick cinnamon broken in pieces, ? cup Heavy cream, Coffee syrup. Pour hot coffee over cinnamon pieces; cover and let stand about 1 hour. Remove cinnamon and stir in cream. Chill thoroughly. To serve, pour into ice-filled glasses. Stir in desired amount of Coffee Syrup. If desired, top with sweetened whipped cream and sprinkle with ground cinnamon. Use cinnamon sticks and stirrers. Iced Mocha Cappuccino - 1 tbsp. Chocolate syrup, 1 cup Hot double espresso or very strong coffee, ? cup Half-and-half, 4 Ice cubes. Stir the chocolate syrup into the hot coffee until melted. In a blender, combine the coffee with the half-and-half and the ice cubes. Blend at high speed for 2 to 3 minutes. Serve immediately in a tall, cold glass. This recipe yields 1 serving. Iced Mochacchino - ? cup chilled Brewed espresso, 6 tbsp. Chocolate syrup, 1 tbsp. Sugar, ? cup Milk, 1 cup Vanilla ice cream or frozen yogurt, ? cup softly whipped Heavy cream, Cinnamon, chocolate curls or cocoa powder for garnish. Place the espresso, chocolate syrup, sugar and milk in a blender, and blend to combine. Add the ice cream or yogurt, and blend until smooth. Pour mixture into two chilled glasses, and top each with whipped cream and chocolate curls or a dusting of the cinnamon or cocoa. Iced Orange Truffle Mocha - One shot espresso, one scoop cocoa, one shot caramel syrup, one shot orange juice, orange-flavored syrup or orange Liqueur, whole milk, tall glass filled with ice (cubed is best, and you can use coffee cubes if you want to keep the coffee flavor of your drink). Pour the milk into the glass with ice, filling it almost full. whisk the remaining ingredients together separate from the milk, then pour the mixture in with the milk. stir to blend everything together. Iced Thai Coffee - 12-16 oz. strongly brewed or French pressed coffee (no flavored), one tablespoon sweetened condensed milk, one tablespoon brown sugar, dash each of cinnamon and ground cloves, half & half (optional), tall glass with ice. Mix into the hot coffee the sweetened condensed milk, brown sugar, cinnamon & ground cloves. Pour into the tall glass with ice, stirring to blend. Add half & half if desired. Irish Cappuccino - 3 oz Bailey's Irish Cream, 5 oz Hot coffee, Dessert topping, 1 dash Nutmeg. Pour Bailey's Irish Cream into a coffee mug. Fill with hot black coffee. Top with a single spray of dessert topping. Dust dessert topping with a dash of nutmeg. Irish Coffee 1 ? 1 ? oz. Irish Whiskey, rest Hot Coffee. Pour whiskey into an Irish coffee glass, rimmed with sugar. Fill the rest of the glass with freshly brewed, hot coffee. Top generously with whipped cream. Irish Coffee 2 - 1 jigger of Irish Whiskey, 2 tsp. of white sugar, 2/3 cup of hot coffee, 1/4 cup of heavy cream, lightly whipped. Preheat the glass with hot water. Dump the water and fill with hot coffee, add two cubes of sugar, and stir. Add a jigger of whiskey, and top with a collar of lightly whipped whipping cream. Italian Coffee 1 - ? oz. Amaretto, 1 ? tbsp. Coffee Ice Cream, rest Hot Coffee. Pour amaretto into an Irish coffee glass. Fill the rest of the glass with coffee, but leave room in the glass to top your drink with the ice cream, and to sprinkle it with ground coriander. Italian Coffee 2 - 1 cup Black coffee, 1 oz Amaretto, Whipped topping, 1 Maraschino cherry. Fill coffee mug or cup with hot coffee. Stir in amaretto. Top with pressurized dessert topping and cherry. Serve with teaspoon. Italian Coffee With Chocolate - 2 cup Hot Strong Coffee, 2 cup Hot Traditional Cocoa, Whipped Cream, Granted Orange Peel, Combine ? cup coffee and ? cup cocoa in each 4 mugs. Top with whipped cream; sprinkle with orange peel. Jamaica Coffee ? 1 oz. Coffee-flavored Brandy, ? oz. Light Rum, rest Hot Coffee. Pour brandy and rum into coffee mug. Fill with hot coffee. Add sugar to taste. Top with whipped cream and sprinkle with nutmeg. Kahlua Irish Coffee - 1 oz Kahlua, 1 oz Irish Whiskey, 1 cup Hot coffee, Whipped cream. Add Kahlua and whiskey to coffee and garnish with whipped cream. 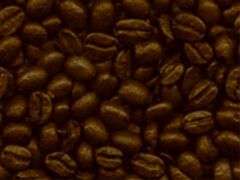 Kahlua Kioki Coffee - 1 oz Kahlua, ? oz Brandy, 1 cup Hot coffee, Whipped cream. Add Kahlua and brandy to coffee and garnish with whipped cream. Kauai Nightcap ? 1 oz. Tuaca, 1 oz. Grand Marnier, rest Hot Coffee. Pour liqueurs into a cup. Fill the rest of the cup (about 6 oz.) with coffee. Top with whipped cream and add brown sugar to your taste. Kioki Coffee - 1 12-ounce preheated coffee mug, 1 cup French Roast brewed coffee, 1 jigger brandy, 1 jigger Kahlua coffee liqueur, ? cup lightly whipped cream. Pour hot coffee into the heated mug. Add the brandy, and Kahlua. Stir well to blend. Top with whipped cream. Koloa Coffee ? 1 oz. Brandy, 1 oz. Macadamia Nut Liqueur, rest Hot Coffee. Pour liqueurs into a cup. Fill the rest of the cup (about 6 oz.) with coffee. Top with whipped cream and add brown sugar to your taste. Kona Nut ? 1 oz. Kahlua, 1 oz. Frangelico, rest Hot Coffee. Pour liqueurs into a cup. Fill the rest of the cup (about 6 oz.) with coffee. Top with whipped cream and add brown sugar to your taste. Loco Cocoa Mocha - ? oz Kahlua, ? cup Hot Hazelnut coffee, 1 tsp. Nestle Quick, 2 tbsp. Half and half -- (optional). Combine all ingredients in your favorite cup and stir Garnish with a donut of your choice. Wondering how much coffee to buy or how long it will last? Click here to download our free Coffee Calculator? now.